Lorain County Maternal Child Health Consortium presents the Lorain County Baby Shower at LCCC Spitzer Conference Center, on June 26, 2019. There are two sessions: 10am-12pm & 1pm-3pm. For more information click HERE. Follow this LINK to register. Lorain County BRIDGES presents the Safe Summer Kick Off, Saturday April 13, 2019 from 10am-2pm, at Ohio Business College. For more information please click HERE (Spanish HERE). Ohio's Prevention, Retention, and Contingency program provides work supports and other services to help low-income parents overcome immediate barriers to employment. It is funded through the federal Temporary Assistance for Needy Families (TANF) program. Those receiving assistance from other public assistance programs-including Supplemental Nutrition Assistance Program (SNAP, formally known as food stamps) - also may be eligible for PRC service. Applications can be submitted in the Main Lobby, during normal business hours. No appointments will be seen, or necessary. 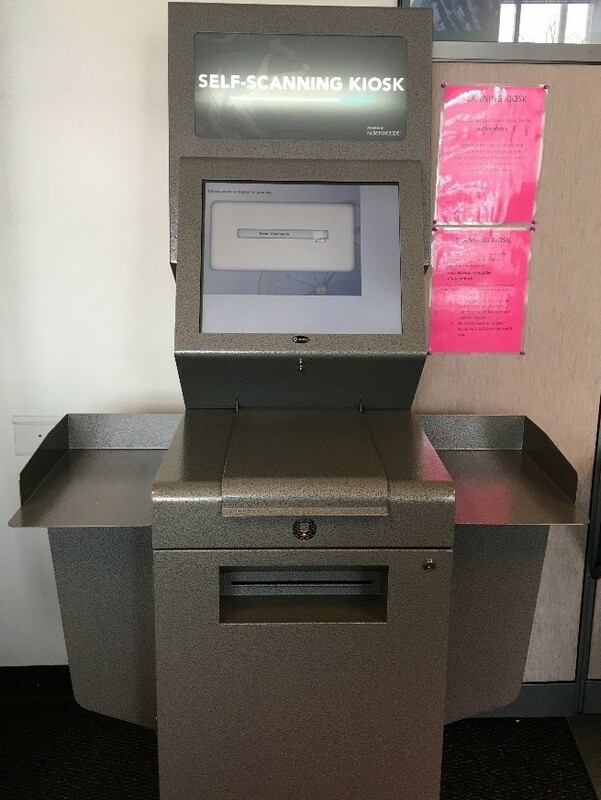 A self-scanning kiosk is now located in the LCDJFS main lobby for clients to scan and submit their own documents without having to take a number and wait for a front desk staff member. Any Child Care, SNAP, TANF, and/or Medicaid recipient with an active case can skip the wait and scan any documents they need to turn in by using the new kiosk. Individuals will need to know the Social Security Number and Date of Birth for one of the active recipients on the case. LCDJFS has staff available to assist clients when using the kiosk, however it is very user friendly. After scanning all documents, the kiosk will print a receipt with the date and time, as well as how many documents were scanned. The Lorain County JFS and CSEA Call Centers are temporarily experiencing phone connectivity issues due to a change in phone systems. Please utilize the LCDJFS.com website to report changes to your case or the CSEA web portal as an alternative to contacting the Agency. Thank you for your patience. If you have had an EBT card in the past, you will not receive a new one when new benefits are authorized. You will need to call for a replacement if you no longer have the card. For the Ohio Direction card hotline for SNAP benefits, call 1-866-386-3071. For the Ohio EPPICard hotline for Cash Assistance benefits, call 1-866-320-8822. On May 31, 2018 the statewide contact center for Medicaid consumers received an interactive voice response feature for the call system at 1-844-640-6446. Consumers are now able to set up case notifications and reminders via text after verifying social security number and date of birth. Consumers will also receive a brief case status update when they call this hotline. In addition to this update, the new system will also have the functionality to robocall consumers whose benefits have been discontinued for failure to complete a renewal. If you worked in 2018, you may be eligible for the Earned Income Tax Credit -even if you don't owe income tax. You also may qualify for free assistance with the preparation and filing of your income tax return through the Lorain County Free Tax Prep Coalition, a Volunteer Income Tax Assistance program. Ohio Means Jobs is one of this year's tax preparation sites. Appointments can be made by calling 2-1-1. Simply click on this link to register. The Stocker Foundation presents Dolly Parton's Imagination Library. This program is a 60 volume set of books beginning with the children's classic The Little Engine That Could. Each month a new book will be mailed in your child's name at no cost to the family. See the attached flyer for more information. Flyer also available in Spanish. Interim reports can be completed online! The front desk can no longer provide case profile printouts for WIC, HEAP, Community Action, and/or Section-8/LMHA. In order to obtain a case profile, you must set up online access to your account by following the directions below. There are computers and printers in the LCDJFS lobby where you may print your case profile free of charge during our normal business hours (Tuesday: 7:45 am - 6:00 pm; Monday, Wednesday, Thursday, Friday: 7:45am - 4:00pm). An agency staff member is usually available to assist with this process on Monday, Tuesday, Thursday, and Friday between the hours of 8:00am - 8:30am and 2:00pm - 3:00 pm. set up online access to your case at https://odjfsbenefits.ohio.gov/SelfServiceSplash.jsf. On the "Home" screen, select the "Review Benefits" tab. Print this page. It shows your current and future benefit issuance history. On the "Review Benefits" screen, select "Click Here For History" for each individual benefit to get up to 12 months of benefit issuance history. Return to the "Home' screen and select the "Review Case Information" tab. This page lists the people on your case, their dates of birth, and the benefits your household receives. Print this page. On the "Report a Change" tab, indicate whether or not you would like to register to vote and submit your answer. Then, select the appropriate computer option from the drop-down box and hit the submit button. This takes you to a "Case Summary" page. Print this page.